Firewall, firewall or firewall - different names of a special program designed to ensure computer safety when browsing the Internet. In certain circumstances (for example, using a local network) you may have to disable firewall to increase system performance. Note that disabling the firewall greatly increases the computer's vulnerability to malicious applications. Make sure that all Internet programs completed and abort the Internet connection. Click "start" and go to "Run" (for Windows XP) or control Panel (Windows 7). Type Firewall.cpl in the window that appears and click OK (Windows XP) or click the link "Enable and disable Windows firewall" (Windows 7). Raise the flag in the line "Off (not recommended)" in the new window "Windows Firewall" (Windows XP) or "Enabling and disabling Windows firewall (Windows 7). Confirm by pressing OK.
Return to the "start menu" and go to "control Panel". Select "Administration" in a new window and log in to "Services". Invoke the utility menu by right clicking mouse on the "Windows Firewall". Select "Properties" and then click "Stop." Select Disabled in "startup Type". Now the firewall is off and Windows service disabled. Eliminate the service of a firewall from startup. To do this, open the start menu and enter msconfig in the search bar. Press the Enter key. Select the Services tab and uncheck the item "Windows Firewall". Confirm by pressing OK. Now the firewall will not be started on every system startup. The firewall does not replace antivirus. These two programs must run simultaneously. 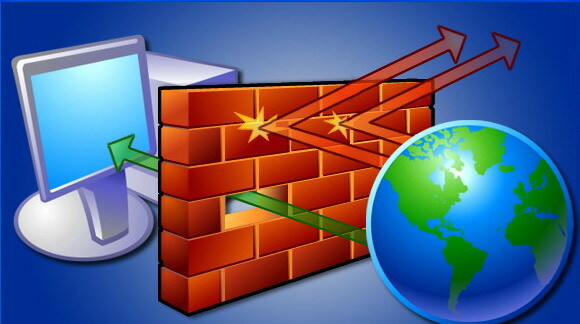 Many users prefer third party firewalls because of the possibility of more flexible settings.